Sometimes the world feels like a heavy place. Threats of war. Fights over science. Racism. Sexism. Feuding politicians. Inequality. Enraged citizens. Lost children. Disease. Climate concerns. Bullying. While some experts report the world is actually better off than in any time in the past (according to Our World in Data, the world is better in terms of poverty, literacy, health, freedom and education), it can be hard to believe when television, radio and social media scream negative news on a constant basis. Many of us go to bed angry and wake up angry because we are inundated with negativity. We worry that if we talk about it, we might set off a heated debate with friends or family. People are being mean to one another. We’re saying things we know aren’t kind. It seems we need a reminder of how to treat one another. Maybe it’s time to turn to an old friend: Mister Rogers. Red sweater. Blue shoes. Songs. Fish. Trolley. Puppets. Neighbors. Fred Rogers of Mister Rogers’ Neighborhood holds Henrietta Pussycat (left) and “X” the Owl. He took us on fabulous, curious adventures to learn how pretzels and crayons are made. He introduced us to musicians. We met his neighbor who wore lampshades on her head. But what many of us remember most about Mister Rogers is the way he made us feel. He spoke directly to us, like a friend. He was gentle. Soft-spoken. Honest. Kind. Would the world be a better place if it were made up of real people with qualities like the character Mister Rogers? Definitely. But people like this are few and far between, right? Well, Fred Rogers was exactly like his character, according to those who knew him. Fred Rogers of Mister Rogers’ Neighborhood entertains children during a Mister Rogers’ Day celebration. Several thousand children from the surrounding states attended the event held at the University of South Dakota. Inside the office of The Pittsburgh Foundation in May 2018, President and CEO Maxwell King shared stories he learned while serving as director of the Fred Rogers Center for Early Learning and Children’s Media at Saint Vincent College in Rogers’ hometown of Latrobe, Pennsylvania, and while researching and writing the biography, “The Good Neighbor: The Life and Work of Fred Rogers.” King explains that at his core, Rogers really did embody his character. “Human kindness was probably the single most important thing to Fred Rogers,” King says. “People think of him as a television innovator, as an early childhood education expert, as a musician, as a scriptwriter, as a songwriter, as a performer, as a puppeteer. But what he cared about more than any of that is human kindness. Rogers’ background in television, religion (he was a Presbyterian minister) and early childhood education studies gave him a unique perspective and the opportunity to reach millions of children to spread his message of love and kindness and acceptance. Every word of his messages was carefully chosen and crafted. He spoke into the camera, giving children the sense that he was their friend, their neighbor. Someone they could trust. You likely wouldn’t recognize Brad Montague if he walked past you on the street. He might not be as popular as Fred Rogers — yet — but his work has quite a following. He’s the creator of Kid President, videos featuring that spunky kid who has given a pep talk to more than 40 million viewers (so far) on YouTube. If you follow Montague’s work at all you’ll see he’s a big fan of Fred Rogers. He shares his quotes on social media and mentions him in his workshops. Montague works closely with young children. He gives them an opportunity to be heard. Much like Rogers did in work and in life. In fact, Montague has been called “the 21st century version of Mister Rogers.” It’s a comparison he calls a “massive compliment,” but also one he struggles with. This year marked the 50th anniversary of “Mister Rogers’ Neighborhood.” There have been documentaries, King’s book and a movie with actor Tom Hanks playing the role of Rogers is in production. So, yes, it’s an anniversary celebration of one of the most popular children’s programs of all time. But why all the fuss about Fred Rogers? Why do so many people have such fond memories of him? The answer could be science. Brooke Jones is vice president of the Random Acts of Kindness Foundation. She says science plays a role in how kindness, like that shown by Fred Rogers, affects our brains and our bodies. So if science proves kindness can make us feel better (in addition to being better), is there a way to learn how to be more kind? Can we change the emotional wellbeing of the world with kindness? Jones says “absolutely.” And in fact, that’s what staff at Random Acts of Kindness strive for every day with free kindness curriculum for students. Globally, the RAK curriculum reaches more than 2 million students a year. Montague has a similar, yet different, take on kindness and how we can affect one another’s lives. Li is a senior fellow and former director of the Fred Rogers Center. He says that indeed, “what makes the ultimate difference in people’s resilience in the face of adversity is the presence of at least one caring, trusted and supportive person.” Like Montague says: Show up. Li calls it the ‘at least one’ principle. “Each of us needs ‘at least one’ person like that as we are growing up,” he says. “Each of us has the opportunity to be ‘at least one’ for someone else at some point of our lives. Call those others family, friends, your tribe or complete strangers with a do-good heart. They were all neighbors to Fred Rogers. You were his neighbor too. “Fred created a rich model of what a neighborhood is like, and what each of us can do, with all of our own uniqueness, to be a neighbor to others — to honor and respect the uniqueness of our neighbors,” Li says. “His audience may have been children, but his message is for the entire world to hear. That’s Li’s philosophical answer to how we can be more caring and kind like Fred Rogers. His practical answer? Learn how the Fred Rogers Center is working for and with children at fredrogerscenter.org. Become a “Joy Rebel” at montagueworkshop.com. Read more about “The Good Neighbor” at abramsbooks.com/goodneighbor. Spread kindness with tips from randomactsofkindness.org. Brad Montague photo by Caley Newberry. Maxwell King photo by Matt Kryger. Junlei Li photo by Anne M. O’Neill. Thank you for this, I was feeling pretty depressed when I started reading and good by the time I finished. Thank you so much for this article. 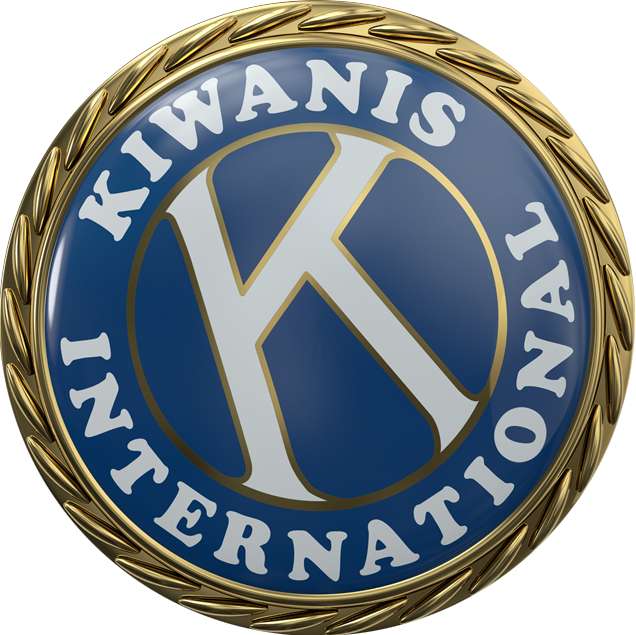 My mom and dad, longtime Kiwanis and Key Club leaders printed out and gave this article to all of their kids and their grandkids this Christmas. I’m glad I found it am sharing it now on social media.